The Omaha Symphony has been an essential resource for orchestral performances, musical entertainment, and education for more than 90 years. Founded in 1921, the Omaha Symphony's virtuosity and versatility are showcased in six distinct concert series: MasterWorks, Symphony Pops, Symphony Rocks, Family, Symphony Joslyn, and the Movie Music series. In addition to mainstage performances, the orchestra – now with a core of 41 full-time musicians augmented by 29 contracted players – continues to perform a wide array of nationally-recognized education and community engagement programs that annually reach many thousands of people, of all ages, throughout the region. There were several civic orchestras in Omaha prior to the 1920s, but from its establishment in March 1921 under the leadership of Henry Cox, the Omaha Symphony had aspirations for higher levels of musical artistry and talent. The community’s acceptance was so encouraging of the “new” symphony that the famed Sandor Harmati was brought in by the women’s division of the Omaha Chamber of Commerce to conduct the 1925/26 season. The symphony continued to thrive, and in 1930, Joseph Littau took over conducting the orchestra for two years due to Harmati’s illness. The Great Depression caused a suspension of operations in 1932, but the symphony was able to play short seasons beginning with the 1936/37 season under the direction of Rudolph Ganz. The symphony was again forced to close during World War II when the conductor, Richard Duncan, and other musicians enlisted for service. However, after the war, Henry Doorly of the Omaha World-Herald, the Associated Retailers of Omaha, and the Omaha Junior League rebuilt the orchestra as a full symphony under the direction of Duncan. This new symphony performed its first concert on February 10, 1947. Duncan continued to expand the orchestra’s activities until 1958, when he passed the conductor’s baton to Joseph Levine. Levine led the Omaha Symphony’s promotion of classical music in the Midlands, which included the establishment of the Omaha Youth Symphony Orchestra and the Omaha Symphonic Chorus. Additionally, from 1966 to 1968, Levine led the implementation of a Ford Foundation grant enabling the symphony to tour outside Omaha and create a music program designed especially for children — known as the Omaha Symphony’s Concerts for Youth — which continues to be a community treasure today. The assistant conductor of Leonard Bernstein’s New York Philharmonic, Yuri Krasnapolsky, took the podium as the new music director in 1970. Krasnapolsky began the beloved Pops series and oversaw the establishment of in-school ensemble concerts in 1971. It was Thomas Briccetti, the nationally recognized composer and conductor appointed music director in 1975, who developed the Omaha Symphony into a true professional orchestra with a "core" of 30 full-time salaried musicians augmented with a group of part-time players. 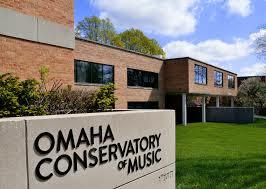 The core increased to 35 members when Bruce Hangen joined the Omaha Symphony in 1984 as music director. Before he left the Omaha Symphony in 1995, his interest in musical and cultural diversity was realized with the world premiere of Ceremonial Images, a nationally acclaimed composition commissioned by Hangen, featuring Native American singers and tribal drummers. In 1993, Ernest Richardson joined the symphony as assistant conductor, later rising to the role of resident conductor. In 2015, Richardson was named Principal Pops Conductor. In 1995, Russian-born conductor Victor Yampolsky took up the baton as music director. Under the leadership of Yampolsky, the core orchestra expanded to 39 musicians, and the Omaha Symphony recorded and produced its first compact disc, Take Flight. 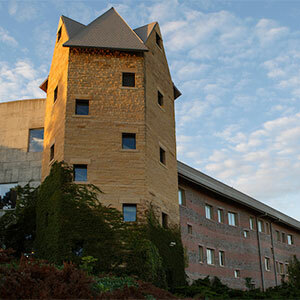 The 2005/06 season featured the introduction of new music director Thomas Wilkins and the orchestra’s move into its new home, the Holland Performing Arts Center. Under Wilkins’s leadership, the orchestra has expanded its concert offerings, increased the core orchestra, renewed its commitment to education and community programs, and embarked on ambitious workshops with young composers and journeyman conductors. With the Holland Center, the Omaha Symphony now has a world class venue esteemed for “its rich sound, excellent sight lines, and striking interior… a new icon for the city,” according to Architectural Record. With a strong, ongoing commitment to meeting the needs of its community and its concertgoers, the Omaha Symphony looks forward to bringing the power and beauty of live orchestral music to audiences for generations to come. 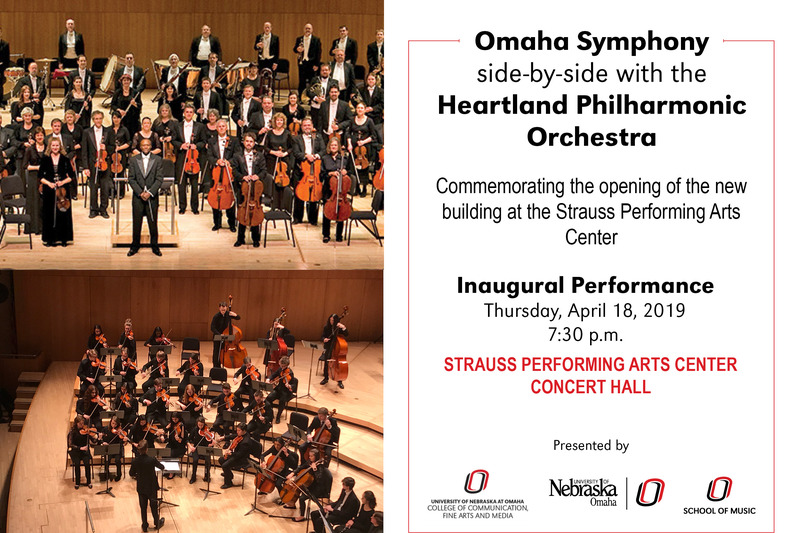 The orchestral program at UNO centers around the 70 member Heartland Philharmonic Orchestra (HPO) comprised of students and community players. 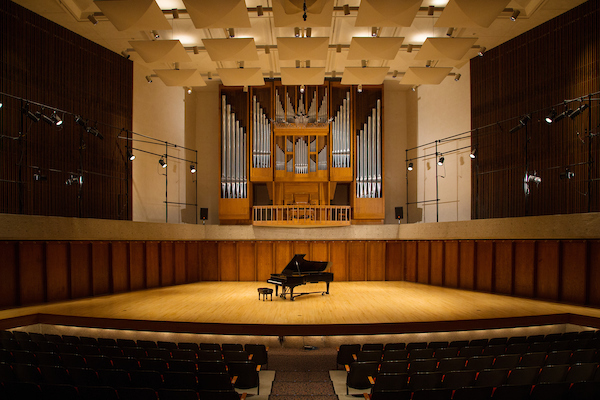 In order to provide a rich variety of musical experiences, the orchestra presents a minimum of two concerts each semester covering a wide range of repertoire from the Baroque era to the present and offers a challenging and rewarding symphonic experience. The Heartland Philharmonic Orchestra's programs have been featured on Omaha's local classical radio station, and they recently performed at Nebraska MENC conference for the first time. HPO has performed at the Holland Performing Arts Center, and annually performs several special concerts, including the popular Halloween "Haunt-cert." Several guest artists from the Omaha Symphony and UNO Music Faculty have performed as soloists with HPO. Auditions are held each fall and community members are invited to audition.